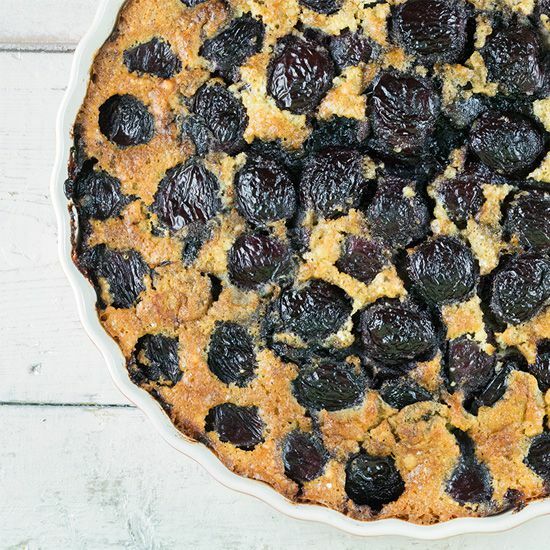 Cherry clafoutis is a classic French cake, tastes best when it's still warm. But also still amazing when it's cold. Ready in an hour. RINSE the cherry and use a cherry pitter. The cherries we bought were very large, so we sliced them in halves. COAT the pie dish with butter and PRE-HEAT the oven to 180 degrees Celsius or 350 degrees Fahrenheit. COMBINE flour, baking powder and salt. MELT butter in a small saucepan and set aside. COMBINE 4 eggs, sugar and vanilla sugar in the bowl of your standmixer. 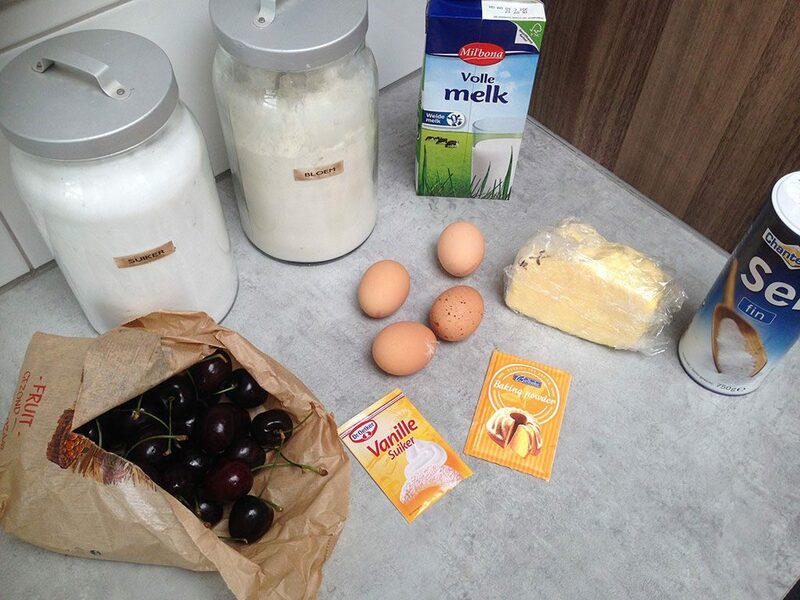 MIX for a few minutes and then gradually add the milk, flour, baking powder and a pinch of salt. ADD melted butter and combine until you’ve reached a smooth batter. DIVIDE the batter in the coated pie dish. 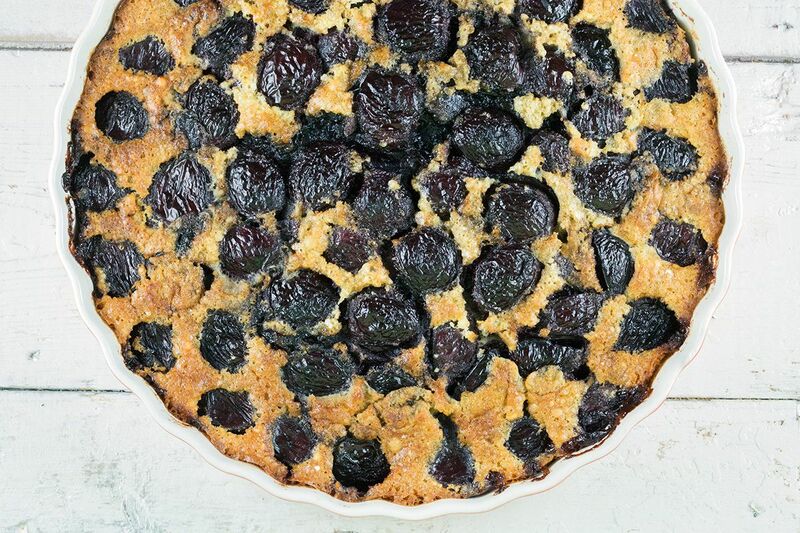 DIVIDE the cherries on top and BAKE this lovely clafoutis for about 45 minutes, or until the batter is golden brown. 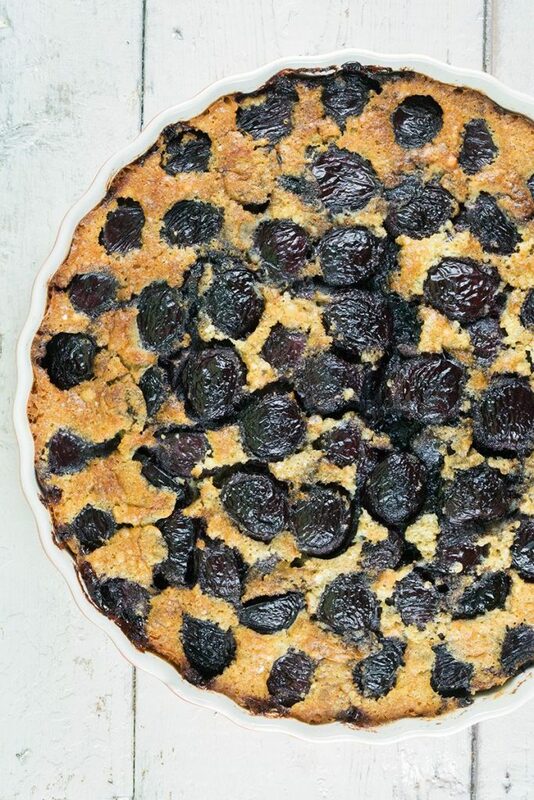 A clafoutis tastes best when it’s still warm, enjoy!